One down, five to go. 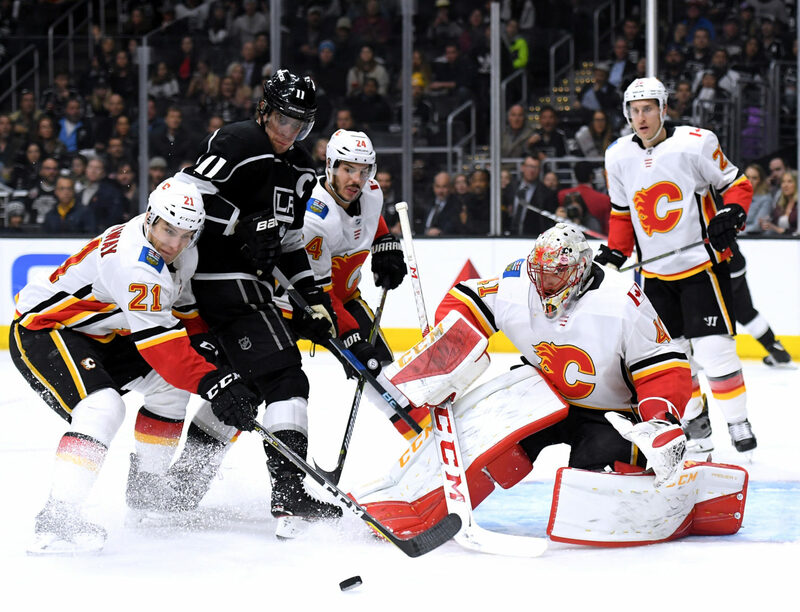 Perhaps not to the extent as Thursday’s game – the Coyotes, 14-7-2 in their last 23, have wreaked some havoc on late-season Kings pushes before – Monday’s “must-win” game against the Flames did serve up a small helping of heebie-jeebies, not by virtue of the limited personnel in the lineup, but more in the form of goalie Mike Smith, who entered the game with a .930 career save percentage against Los Angeles. (See: Arizona wreaking havoc on L.A. this time of the year.) 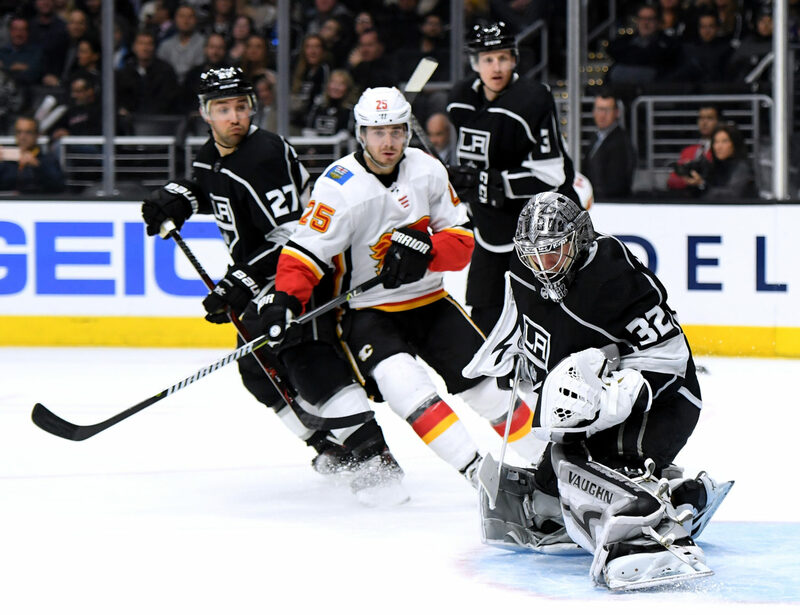 For one period, there may have been a few uncomfortable collar tugs as Smith turned away high-grade chances from Adrian Kempe, Trevor Lewis, Jeff Carter and Anze Kopitar. Meanwhile, at the other end of the ice, Calgary’s only real push came from a duo of Nick Shore and Sam Bennett, the former who entered the game without a point in three games with the Flames, and the latter who has seen his goal totals shrink in each of the two years that followed the fourth overall pick’s impressive 18-goal, 19-year-old season. (His drive to the front of the net, disrupted by a Quick pokecheck, may have been the most dangerous Calgary opportunity for the first 20-to-30 minutes of the game.) 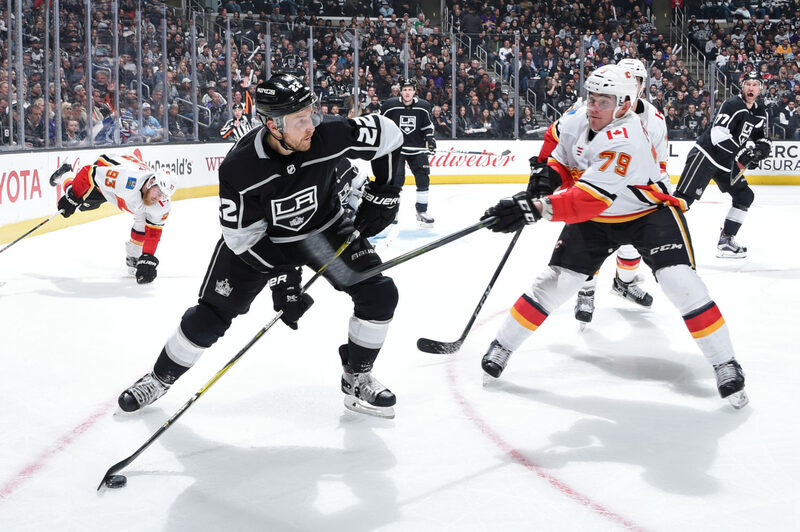 But Bennett took three minor penalties , and an eventually opportunistic Kings group cashed in on two of them while riding a power play wave en route to a 3-0 win. There were skirmishes between the not-quite-friendly divisional rivals, but there wasn’t really much drama. The Kings got what they needed and put an X on another date on the calendar. Jake Muzzin’s injury is listed as “week-to-week,” per hockey ops, and that’s going to present a challenge. Rebound-wise, Muzzin, whose game was off for much of the previous season, can be mentioned in virtually the same breath as Anze Kopitar and Dustin Brown, even if his bounce-back hasn’t been as clearly and visibly pronounced as the two stars who’ve also engineered resurgent seasons. He has broken through with a clear step forward in his game and has taken major strides towards the consistency that hadn’t always been there for him by relying heavily on his checking game, an aspect of his skill set that leads to offense at the other end of the ice. At the time of the injury, he had goals in back-to-back games and had set a career-high in points with his marker in Edmonton. Importantly, he has been a clear and very good number two defenseman who plays in all situations. That’s where it gets a little tricky. 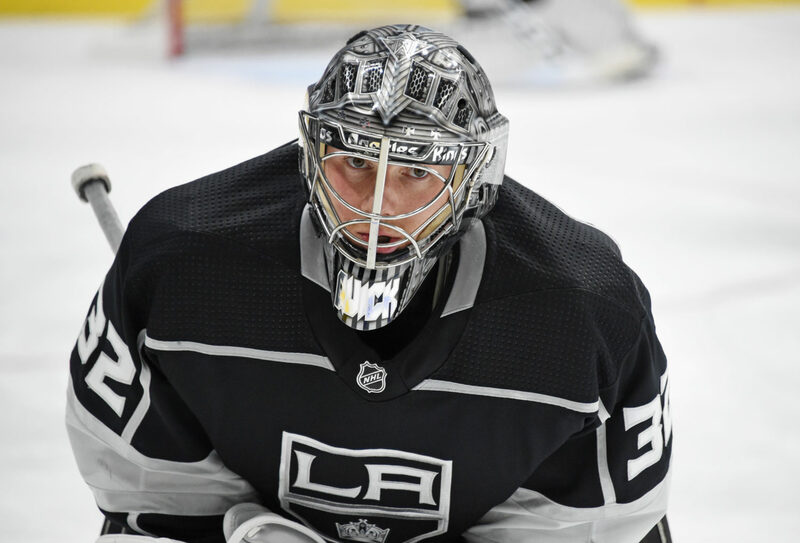 Alec Martinez is also an all-situational player and earns roughly the same ice time as Muzzin, but would it preferable to move him from his partnership with Dion Phaneuf? And because Muzzin is a right-handed shot, does that mean that Kevin Gravel, and not Paul LaDue, would be the next in line to step in? Previously, John Stevens has called upon LaDue when he has made adjustments to his defensive group, and this would be asking an awful lot from Gravel, who hasn’t dressed since the February 7 win over Edmonton and would be earning critical minutes with major late-season implications. Interesting decisions lay ahead for Stevens and company. Two weeks ago, the Kings, Sharks, Ducks and Flames were all 5-4-1 in their last 10 games. The Kings are now 5-3-2, while the Flames have dropped out, the Ducks are 6-3-1 and the Sharks have won eight straight. Los Angeles will have a hard time making the playoffs without engineering some sort of winning or unbeaten-in-regulation streak. The Blues have won five in a row. The Avs are 6-3-1 in their last 10. Teams that qualify for the playoffs do so through their own merit, not on the backs of teams that provide assistance. The playoff bar appears to be right around 97 points this season. 3-1-1 will probably get the team in, based on their superior count of regulation and overtime wins. Anything less than that, and be prepared to sweat like Jordan Peele.